A representative for Philipp Plein claims that the poet pretended to be part of the ‘Stronger’ hitmaker team to make the fashion house believe that the MC will attend and perform at its runway show. 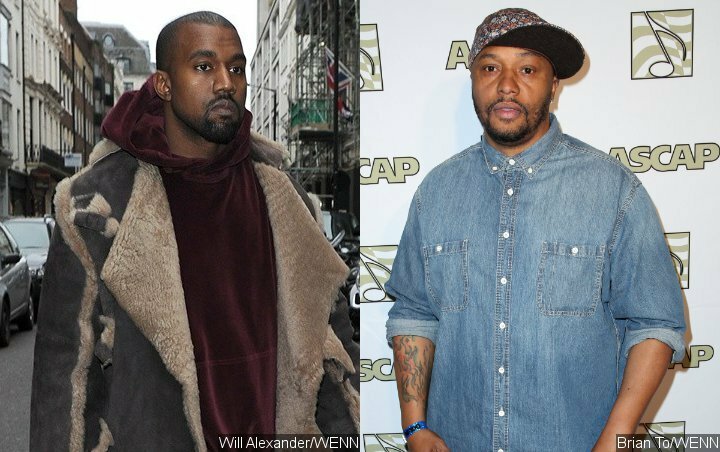 Kanye West‘s poet friend Malik Yusef is facing accusations he fradulently arranged a deal for a fashion show appearance on the rapper’s behalf. Bosses at Philipp Plein claim they were made to believe the “Stronger” hitmaker would attend and perform at their runway show on Monday, February 11, and agreed to pay $500,000 (£386,300) to the Donda Social Program Foundation, the charity named after West’s late mother Donda West, for the privilege, allotting a travel budget of $170,000 (£131,300) for West, Yusef, and their guests. According to The Blast, Plein bosses transferred cash to Donda S. House Inc. and Burundi Partlow Consulting, whose agents helped broker the deal. West reportedly knew nothing about the arrangement and has not received any payment, even though the contract linked to his apparent fashion show appearance contains the rapper’s signature stamp. Executives at the Donda Social Program Foundation, which has now been renamed Art of Culture Incorporated, also insist they were unaware of the agreement. Meanwhile, Kanye, himself, has been dragged into another legal drama after sampling a viral clip of a young girl praying for the opening of his “Life of Pablo” track “Ultralight Beam”. Andrew and Shirley Green claim they are the legal guardians of little Natalie, who was filmed praying when she was four, and they weren’t asked if Kanye could use the audio. Instead, the rapper’s team reached out to the girl’s biological mum, Alice Johnson, and asked for her permission to use Natalie’s voice, according to documents obtained by TMZ. The Greens, who adopted Natalie in 2012, claim Alice had no legal right to give Kanye the OK. They are suing the rapper for profits and other damages.